There is a question that I have probably spent far more time pondering than I should. Am I Pulp Revival writer? On the one hand, I can point to “A Hill Of Stars”, which is very much a Pulp Revival story. It appeared in the first issue of Cirsova magazine, and the story was a deliberate homage to H P Lovecraft and E R Burroughs. I set the story in an alternate Permian Era Earth which is inhabited by both humans and the Elder Races of Lovecraft. That story has inspired other writers to set stories in what we are calling “The Eldritch Earth”. I have another story set in that world, “In The Gloaming O My Darling”, which I wrote specifically for Cirsova. That one is a little less adventure and more horror, but I think it fits easily into the Pulp Revival genre. Today I am participating in a blog hop to celebrate the release of volume 2 of Castles, Customs and Kings: True Tales by English Historical Fiction Authors, edited by Debra Brown and Sue Millard. See the information at the end of this post to order this treasure. Participating blogs in this hop have chosen a custom or tradition from the past to highlight. Follow the links below to read them all. The 29th day of September is the feast of St. Michael and All Angels, also known as Michaelmas. 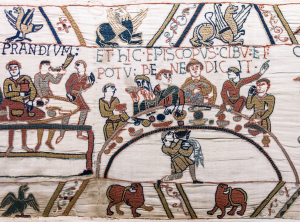 In medieval times, it signified the end of the agricultural year. Harvest – hopefully a good one – was in. It was a time to celebrate. 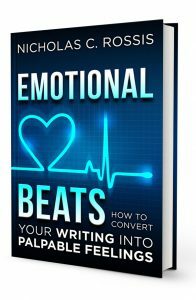 Last week, I mentioned the launch of Emotional Beats: How to Easily Convert your Writing into Palpable Feelings. As promised, here is the first installment from the book. It lists beats you can use to convey anger. He shot her a venomous look. He shot her a furious glance. She speared him with another glare. He shot a glare up at her to silence her. She shot him a glare, but there was still a twinkle in her eye. She looked him in the eyes and he looked straight back into hers. He held her gaze for a moment before looking away without a word.